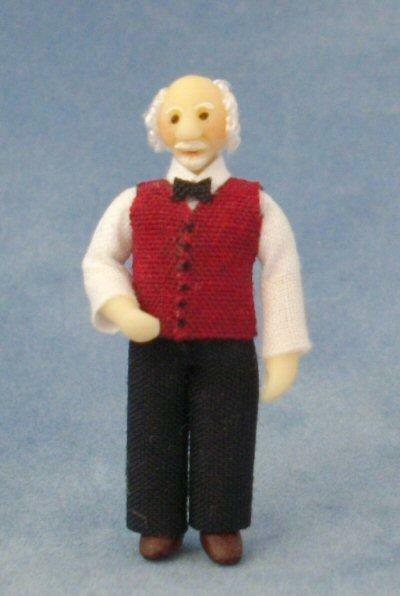 1/48th scale ooak miniature grandpa doll wearing black trousers, white shirt, red waist coat and bow tie. Would make a good butler. Figure is standing and cannot be made to sit but legs can be adjusted slightlyand arms are slightly flexible. Grandad measures 37mm tall (approx. 1 1/2"). 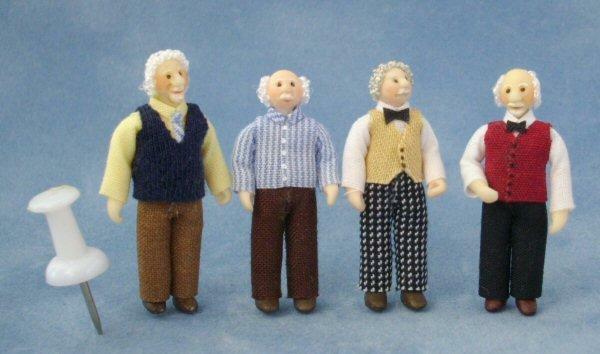 Find more of Grandads friends below.